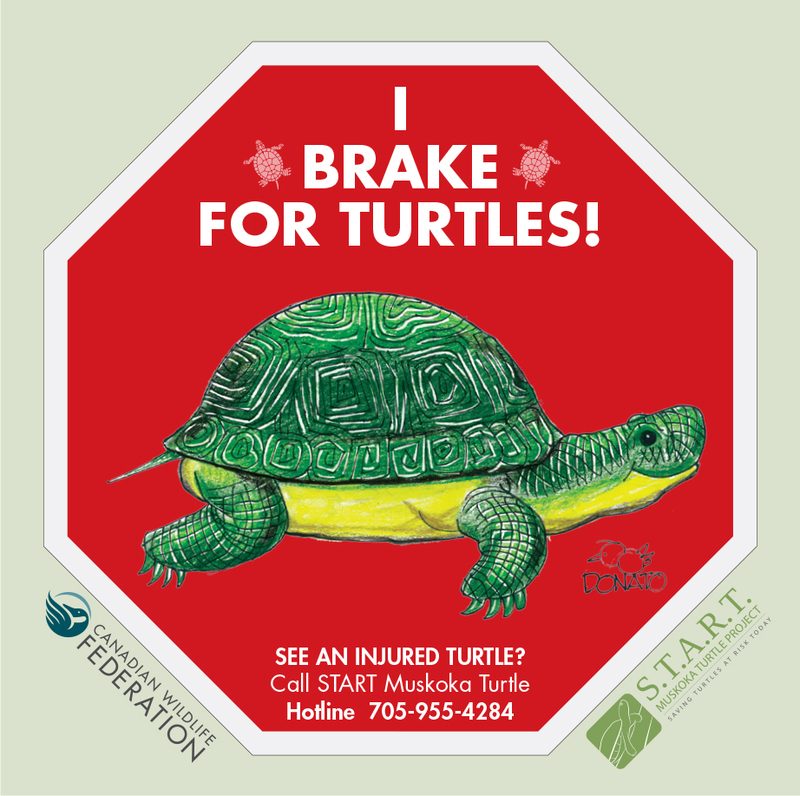 When you see a turtle, whether in the wild or along the road, in the Lake Simcoe-Muskoka region, remember to call or text the S.T.A.R.T. turtle hotline, 705.955.4284. It is especially important that you call in for rare species (all sightings), nesting females (any species), or injured/dead (any species) individuals. We map road crossings and mortality, captive hatch eggs, and collect lots of data for turtle conservation. Saving one turtle can be a big help to local turtle populations, especially if it’s female. A healthy female left to live a long life will lay eggs and help restore turtle populations. Remember: turtles are not speed bumps. Brake for turtles when it is safe to do so. And call the hotline anytime you see a turtle. The Canadian Wildlife Federation and Scales Nature Park have joined efforts to deliver The Saving Turtles At Risk Today (S.T.A.R.T.) Turtle Project. The S.T.A.R.T. project launched in 2013 and is being delivered through Scales Nature Park in conjunction with the Georgian Bay Turtle Hospital. This initiative works to conserve turtles in the Muskoka and Lake Simcoe watershed region (Muskoka, Simcoe, Haliburton etc.) through on the ground conservation, education, public engagement and outreach. By inspiring local residents to protect turtles, CWF and Scales will create a national example of how these precious species can be protected throughout Ontario and other regions of Canada. Thanks to generous funding from the Rogers Foundation, CWF is working with regional partners, community groups, lake associations and individuals to reduce risks to turtles. The S.T.A.R.T. 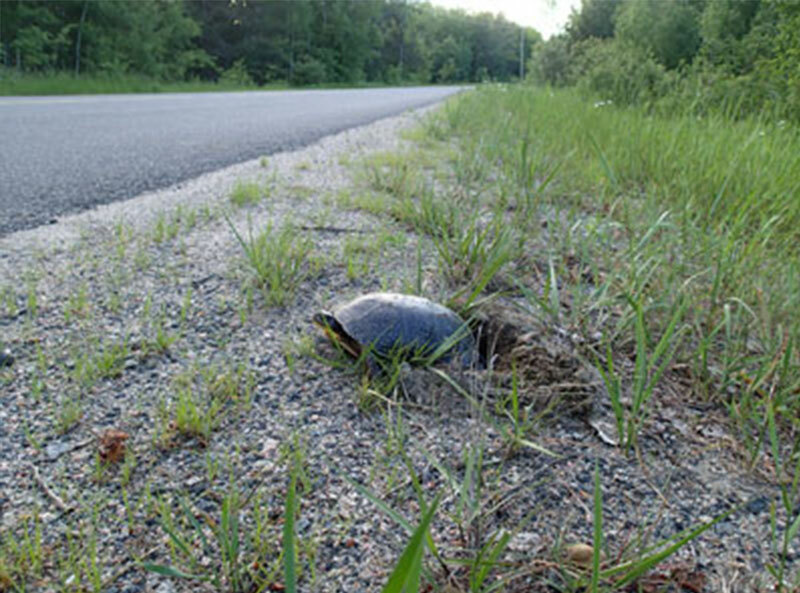 Turtle Project will target all six turtle species in the region (Painted, Snapping, Blanding’s, Map, Musk and Spotted), with a particular focus on Blanding’s turtles since this species is the most likely to be impacted by road mortality and human activities in the area. In collaboration with the Canadian Wildlife Federation, our partners at Scales Nature Park were busy working on the Saving Turtles at Risk Today Project in the Simcoe/Muskoka area in Ontario. Over 30 project staff and volunteers participated in last year's "Turtle Boot Camp," an intensive two week training program. The project's “turtle hotline,” designed to encourage locals to report turtles on the road continued to gain traction this year. The team fielded nearly 500 calls this summer. This included 67 calls on one day in June, which came in from 6:50 am to 9:45 pm — a record high for this initiative in the middle of turtle nesting season. 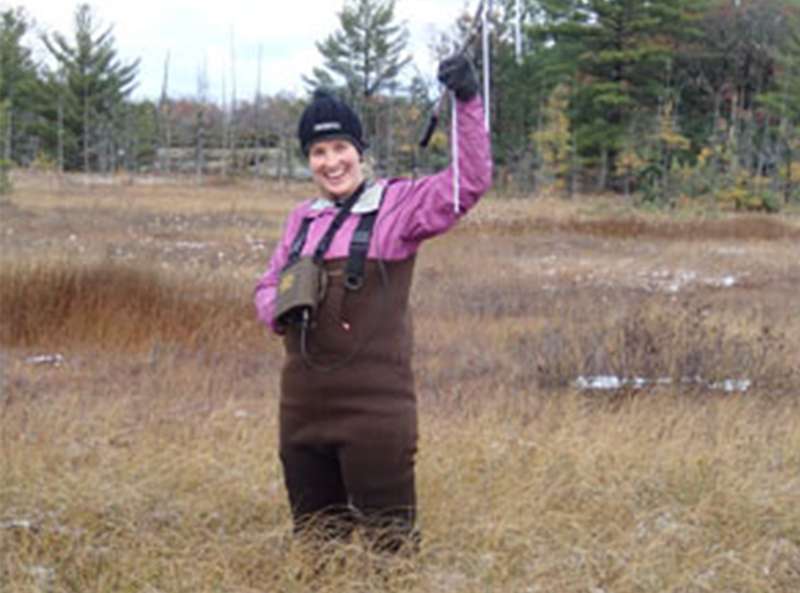 Many wetlands were surveyed and habitat protection under the Endangered Species Act was enabled for several wetlands that still lacked protection. Our work towards population estimates for the region's turtles continued through recapture efforts of long-term species. 370 turtles were found on the road in 2018. Of those, 184 turtles were found alive on the road and rescued before being hit. Over the last two years, 240 turtles have been rescued off roads. 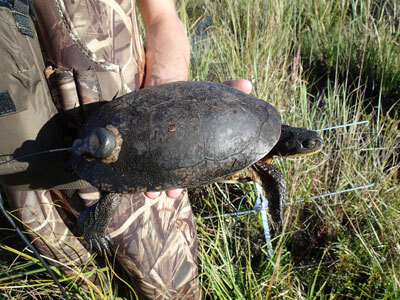 Turtle fencing was installed by Ministry of Transportation of Ontario along Highway 12 between Lake Couchiching and Lake Simcoe at a documented mortality hotspot. The effectiveness of the fence was monitored by the S.T.A.R.T team in 2018. Road mortality of turtles was drastically reduced. Eggs from the nests of 19 Blanding’s Turtles, 38 Painted Turtles and 252 Snapping Turtles were collected and incubated at the Georgian Bay Turtle Hospital. 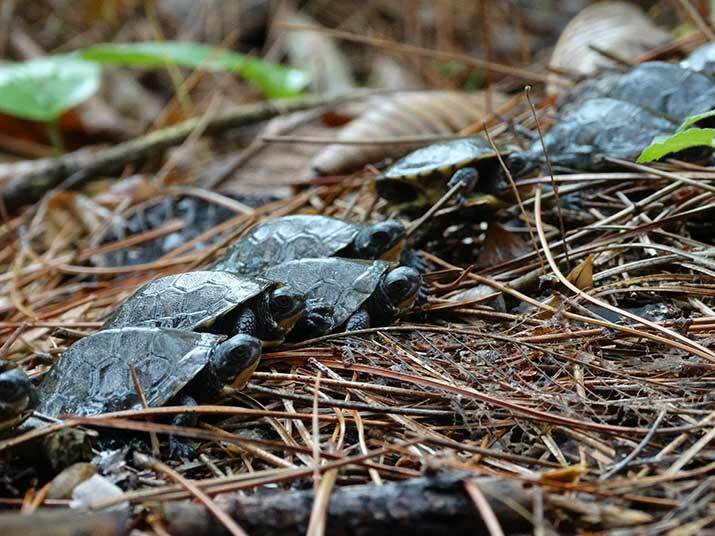 6,884 hatchlings were released back into the wild. This is an increase of more than 2,000 hatchlings from the number released in 2017. In the last three years, over 15,000 hatchlings have been released, giving a boost to many turtle populations. Over 465 calls or texts were received by the S.T.A.R.T. Turtle Hotline, 705.955.4284. This is a major increase from the 350 that were received in 2016, showing the messaging is getting out and the public is more engaged. The busiest day was on June 13th with 67 calls. 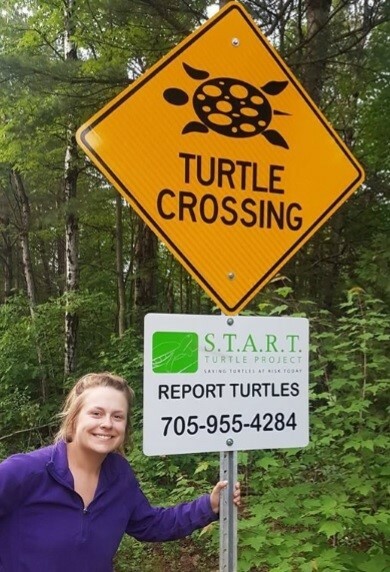 In addition, 10 permanent call-the-hotline signs were installed on pre-existing turtle crossing signs in the District of Muskoka. Freshwater turtles as a whole are in decline throughout Canada. Seven of the eight freshwater turtles found in Canada are at risk. The remaining species are designated to be at varying degrees of endangerment. The threats are relatively well studied. Road mortality and habitat loss are having the largest impact on turtle populations in general. Turtles often have to cross roads to find suitable nesting sites, which puts females at risk of being struck by vehicles. These females should lay eggs for decades to produce the next generation of turtles, and if they are killed the next generation will be reduced or even eliminated. The roadsides themselves often prove to be a nesting site of choice since they contain ideal gravelly shoulders, but this places both the females and young in a dangerous high traffic area. Healthy turtle populations start with a healthy habitat. 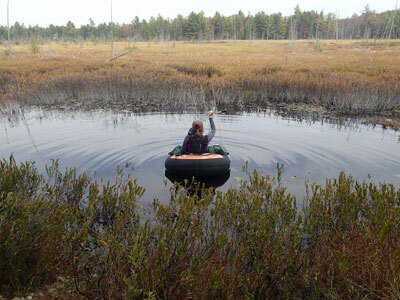 Help improve turtle habitat by participating in local lake, river or community cleanups. If you find turtles in a safe place, leave them there. If you see a turtle on the road, and it is safe for you to help it, please move it across in the direction it was going. Don’t take it back to the water- it may be going to lay eggs somewhere else! Leave fallen trees and branches in place along shorelines. Turtles use these as a platform for basking in the sun. Don’t buy real tortoiseshell barrettes, brushes, ornaments or jewellery. Support CWF and its turtle and habitat projects. If you find an injured turtle, you can take it to a wildlife rehabilitation centre for treatment. Saving one turtle can be a big help, since they are supposed to live for such a long time and lay eggs every year. 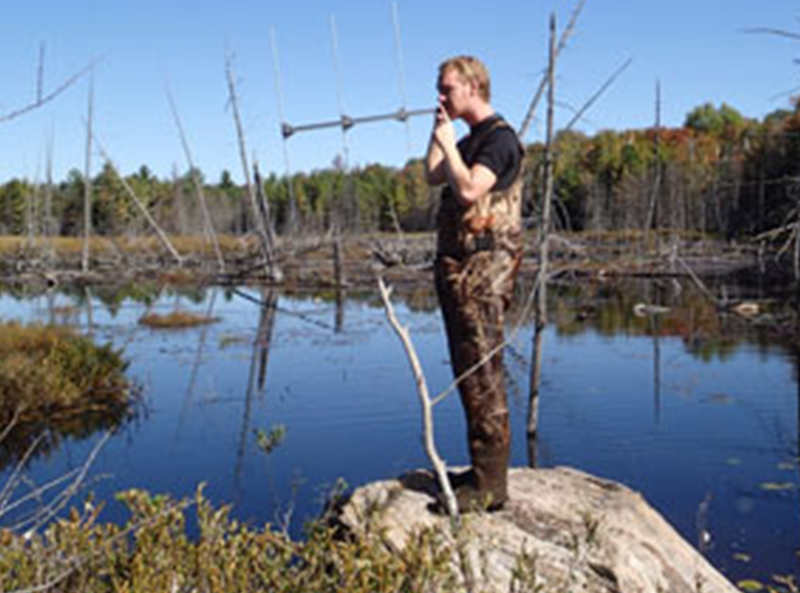 Turtle conservationists waded in this July to help turtle conservation in Ontario. in the future of turtles in Canada. 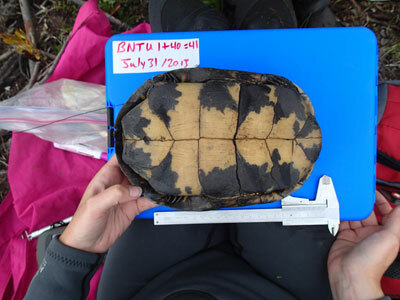 Turtles remain widespread in eastern Ontario but they face numerous threats including habitat loss, road mortality, and high rates of nest predation.